The thistle developed a bit of a negative reputation thanks to being so prickly. Yet we don't look down upon the rose for its thorns. 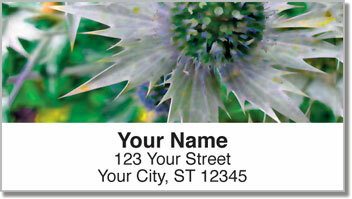 As you can see from this eye-catching set of return address labels, the thistle can be an attractive plant. It's also a noble Celtic symbol. It became associated with Scotland because of legend involovling a bare-foot soldier with the invading Norse army. We bet you can guess what happened. 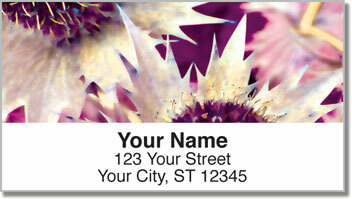 Our designers have exentuated the striking look of this purple flower using an electric effect. They'll make an excellent finishing touch while helping you save time. 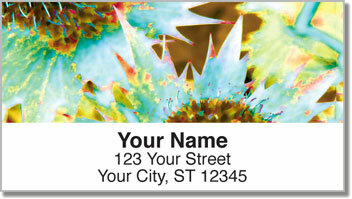 Preparing your outgoing mail becomes easy thanks to the handy, self-adhesive backing. 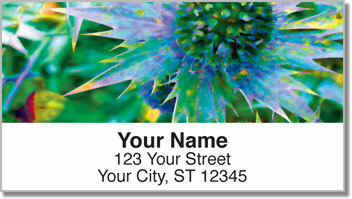 Order your very own Thistle Address Labels today! Get them with a set of matching checks.